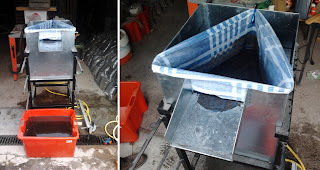 Yesterday we start the flotation of soil samples of a prehistorical site. We used a hand-made machine developed and built by our friend Simone Pedron of Studio Sestante. Soon we will post some ideas to improve the system. The picture below shows a phase of the process. Yesterday I received an e-mail asking if it is possible to visualize in ArcheOS stereoscopic image pair. I worked a little with this kind of technique (e.g. 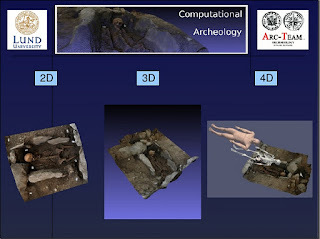 stereophotogrammetry) and also in my thesis I used a related methodology ("Necropoli del Piovego: scavo e documentazione informatica delle tombe 71 e U.F.C. 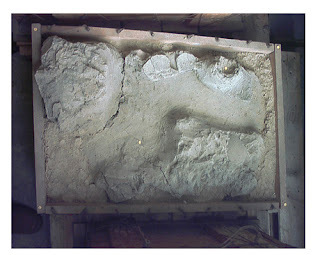 2", 2003 University of Padua, supervisors Giovanni Leonardi and Michele Cupitò). 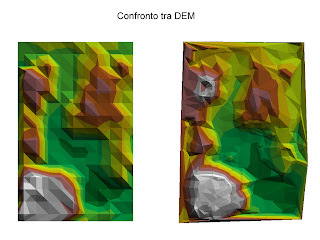 For instance in the image below you can see a comparison between a DEM (Digital Elevation Model) done taking the measurement manually (with the help of a grid) and the same surface done with photogrammetric stereo-reconstruction (for that project I used ERDAS IMAGE software). Of course the model I did manually is too regular to represent reality. 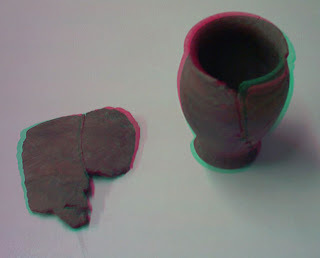 To do anaglyph images I simply used GIMP (which is inside ArcheOS, of course). There are a lot of tutorials about this topic (e.g. 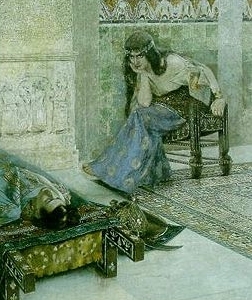 this one), so I do not describe here the whole process. 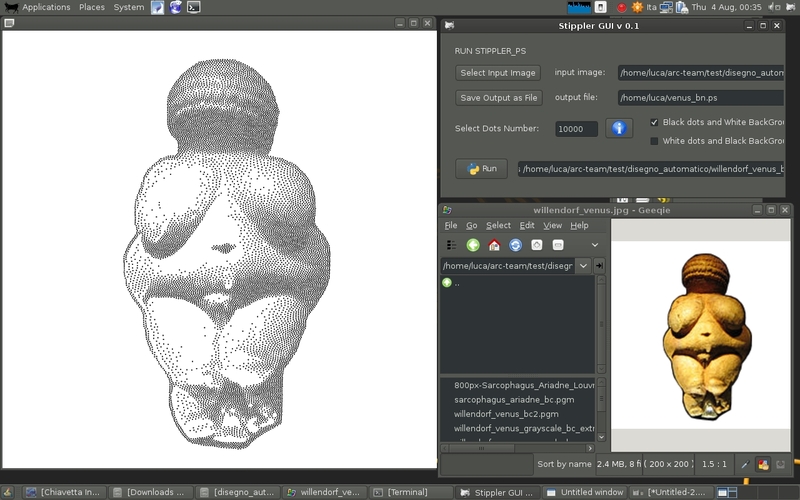 Moreover there is also a specific GIMP script (script-fu-make-anaglyph), which we could consider to add in ArcheOS GIMP package (for next release). Anyway, I guess that the question I received about how to visualize stereoscopic image pairs in ArcheOS was related with something more technical than a simple anaglyph. 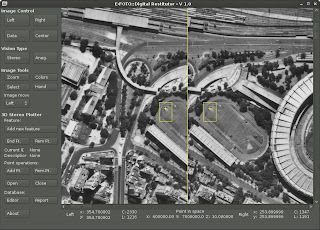 The best solution (IMHO) is to use efoto, a complete suite for aerial stereophotogrammetry, composed by different modules. 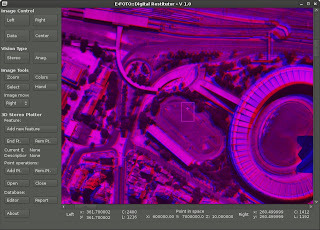 Inside ArcheOS all these modules are available from the menu "Photogrammetry". With this software (developed in Brazil) it is possible to perform a complete aerial photogrammetry project, from internal orientation of the camera, till 3D data extraction from stereo photo-pairs. 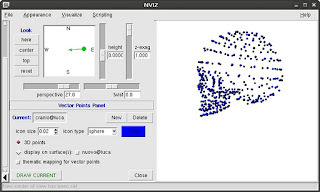 Normally it is better to complete all the steps of a project (also in this case there are some tutorials), but the module "Stereoplotter" can be simply use to visualize the image pairs, both in stereo and in anaglyph way. 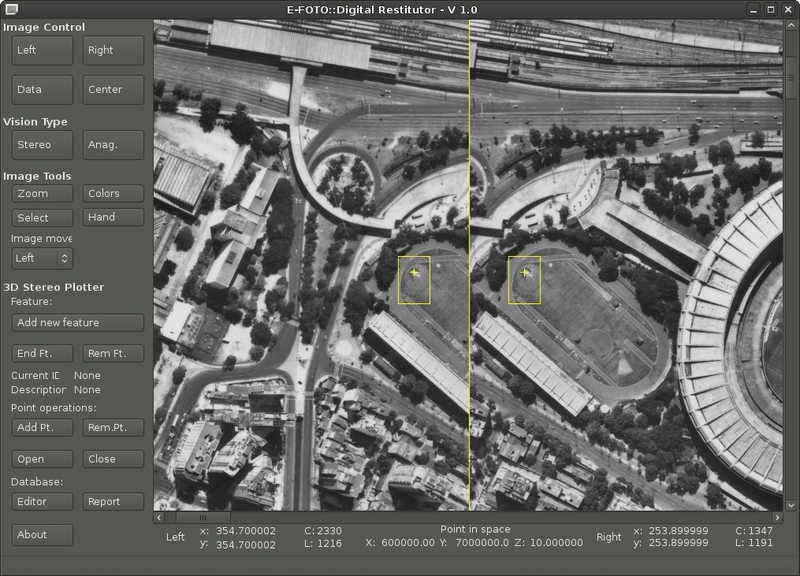 The images below are two screenshots I did with the default test data (which you can download with efoto). For soccer fans: In the right corner you can see the Maracanà (Rio de Janeiro)! 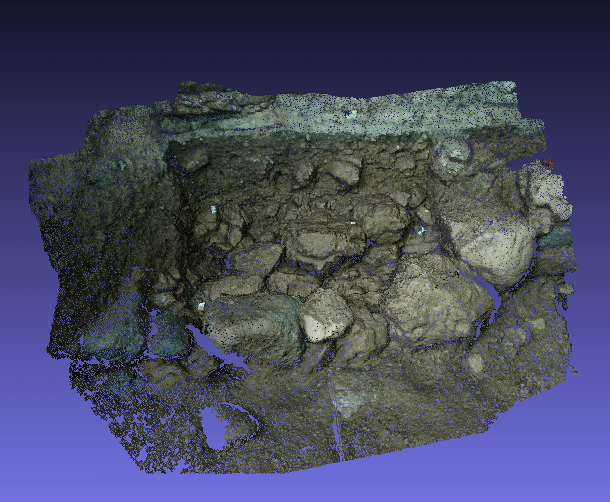 yesterday I imported some data (DEM of Non Valley, Trentino - Italy) inside VTerrain. 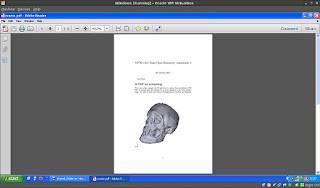 The screenshot below show the result. 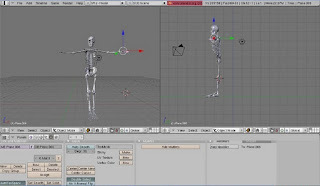 The process is pretty simple and it is well describeb in this tutorial. 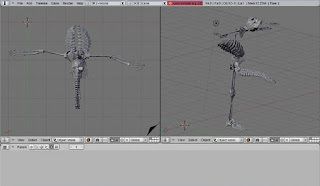 VTBuilder can convert many kind of data to a BT file, which is needed by the software. If you want to propose new names, just write an email in the Italian or English ArcheOS mailing list. 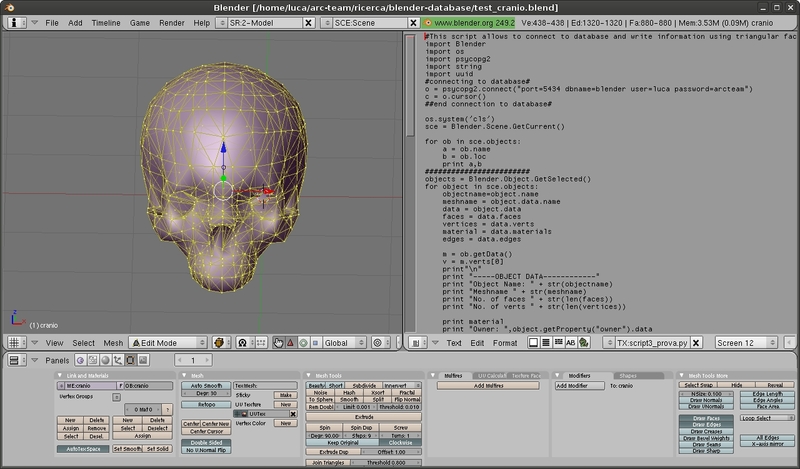 Yesterday I worked a little bit with Alessandro Bezzi to compile the source code of Virtual Terrian Project inside ArcheOS 4. This operation was pretty simple, thanks to the instruction written by Roberto (BobMax) in his blog, and everything worked good. 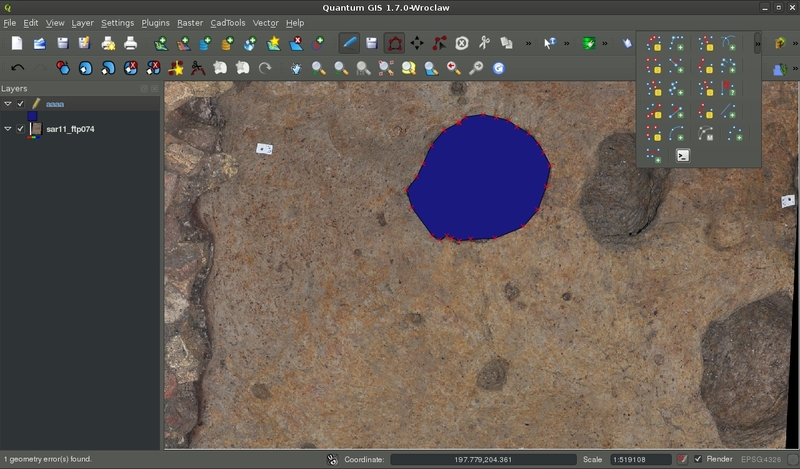 Than we tried to combine QGIS and VTP with the script Roberto wrote and, also in this case, we were lucky: to run the software it was necessary just a small correction inside the source code of the python script (a wrong path to the binary executable of Enviro). By now on we can work to build the deb package for ArcheOS, but we still have to clarify some points (especially regarding all the libraries connected with VTP). 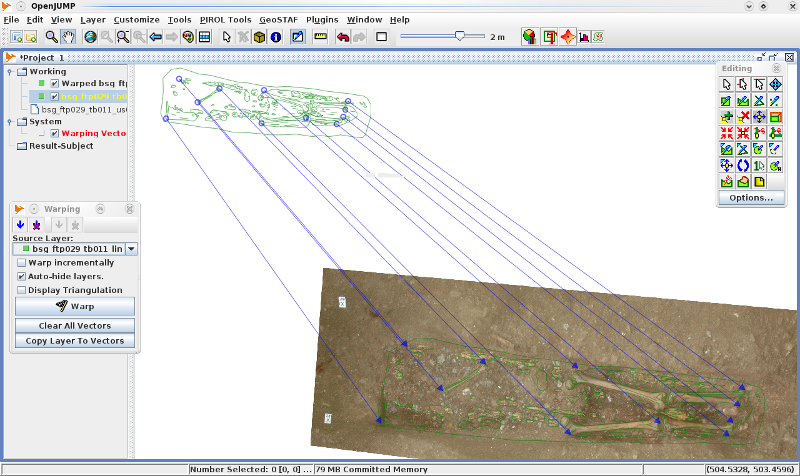 Anyway i think that, with the help of Roberto, we can package an optimized version of the software, to run with QGIS. 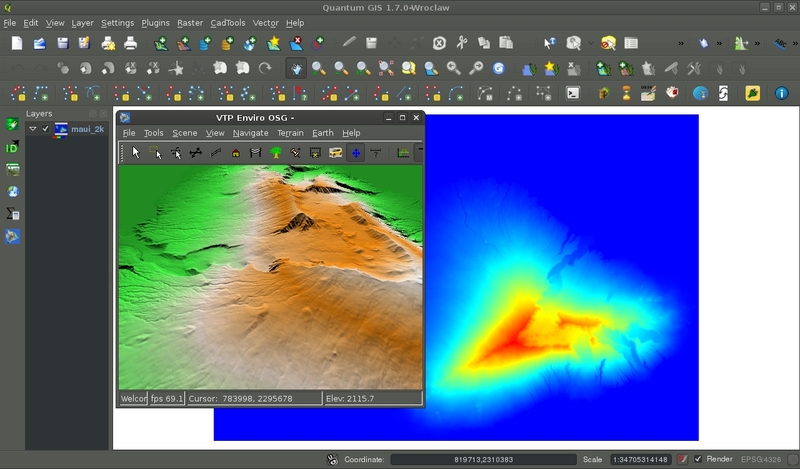 Here is a screenshot of QGIS and VTP with some example data (Hawaii Maui Island). 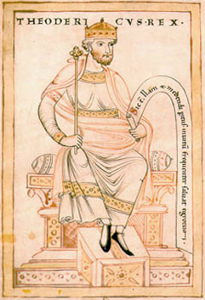 Today I uploaded on Arc-Team's Open Library the slides of a lessons I did with Alessandro Bezzi in Lund University (SE) in March 2011 (the lessons were possible thanks to the effort of Nicolò Dell'unto). 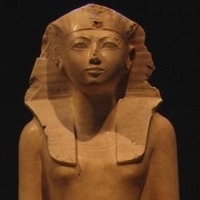 The topic regards computational archaeology and it is maybe a "theory lesson", but it can be also useful to have an overview of what it is possible to do with FLOSS in archaeology (and in particular with ArcheOS). Below you see a couple of slides from this lesson. 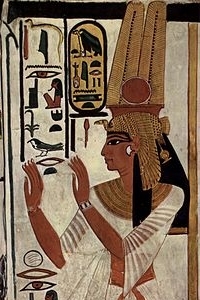 In www.uselessarchaeology.it you can find theoretical and practical research topics of archaeological methodology. In the last days I added a section of GRASS scripting. 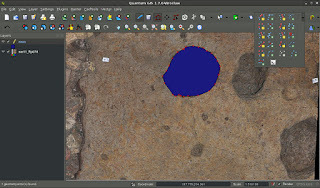 In this section is now downloadable a new GRASS script for exporting a georeferenced raster image of labeled points: v.out.labpoints. It is useful for image rectification through raster model, e.g. using E-Foto in "Aramus" documentation method (see https://wiki.uibk.ac.at/confluence/display/excavationtutor/creazione_fotomosaici). This script enable users to speed the rectification process joining several steps just in one command. 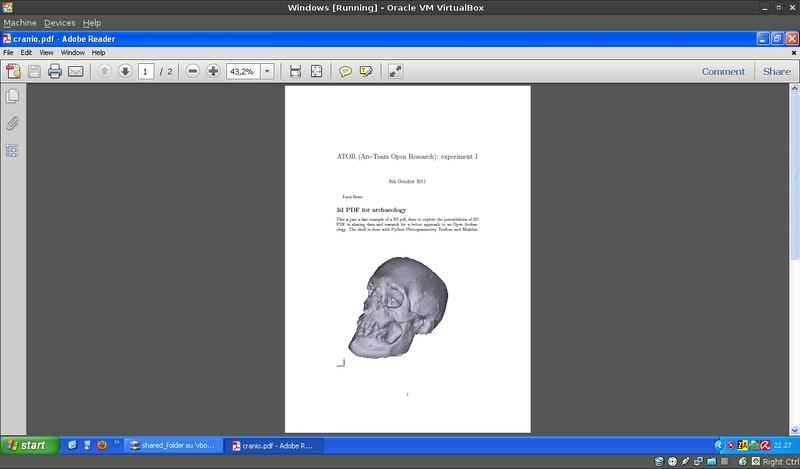 The usage is described in the web page and in the script file. In the next days I'll posted a simple tutorial with an example. Script (and its name as well) is under construction. It must be developed in order to change variables through shell commands without opening the script file. Moreover need to build a GRASS GUI for this script. In future, the developed script could be add to ArcheOS. Any contribution or suggestion are welcome. 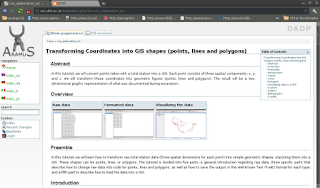 QGIS python plugins: call for suggestions! Today I received an email from Giuseppe Amatulli, who is interested in the techniques we used for the automatic archaeological drawing. 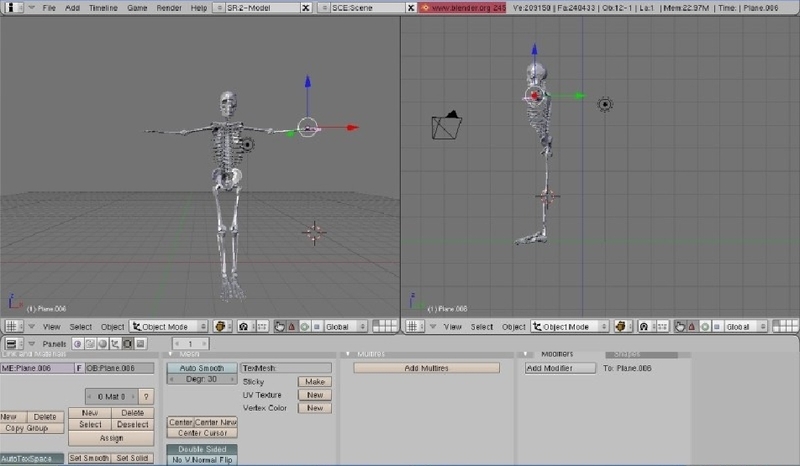 I hope we can work together to optimize this techniques, maybe integrating most of the steps of the workflow in a single software (GRASS?). 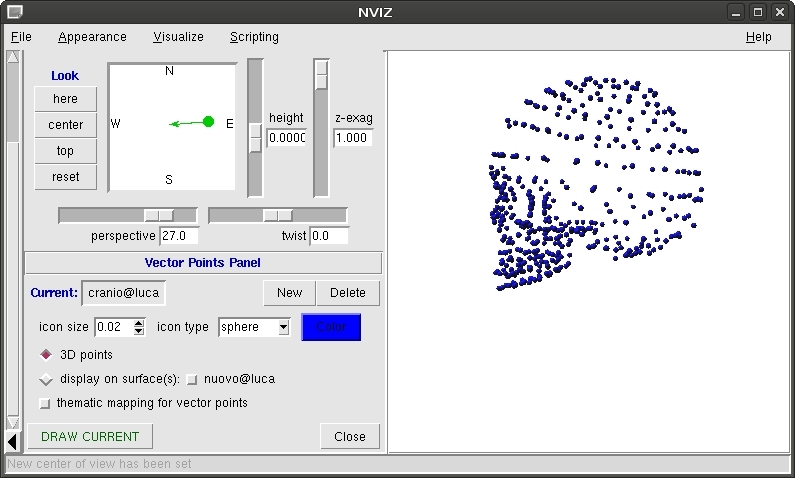 Anyway he was also interested, of course, in the source code of the software we used, so I noticed that we never uploaded the software "stippler-gui", the graphical user interface for stippler which Alessandro Bezzi wrote. In the meantime I prepared a fast page in our website, where is also possible to download the source code (released under GPL). As an alternative you can download it in the brand new github public repository. In 2006, after our experience during the Aramus Excavations and Field Shool, we started a project to write documentation about Archeos. The project was possible thanks to the effort of the Institut fuer Alte Geschichte und Altorientalistik of Innsbruck University (Willfrid Allinger-Csollic, Sandra Heinsch and Walter Kuntner) and it is based on a wiki system (dokuwiki). Its aim consists in sharing the know-how in computational archaeology, starting from the lessons we (Arc-Team) do every year during the excavation in Aramus. All the contributes are written in the form of tutorials and released with an open license (generally FDL). Any help from the community is welcome (updates, review, etc...), especially new documents from new authors! 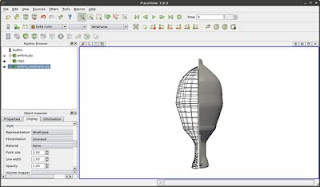 After the release of ArcheOS 4, most of the tutorial will need updates and today i started with the document "Transforming coordinates into GIS shapes" which explain how to convert raw data from total station into basic geometries for GIS (in this case OpenJUMP). 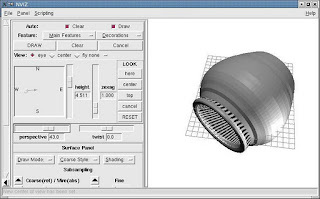 The tutorial is available here. I hope to update soon the next one ("Photomapping (metodo Aramus)"). Yesterday I was looking the statistics regarding this blog and I noticed that one of the most popular post is the one about the automatic drawing technique we (Alessandro Bezzi, Simone Cavalieri and me) proposed some years ago. I noticed as well that i forgot to upload in Arc-Team's open library the presentation we did in Foggia (for ArcheoFOSS 5) about this argument (sorry, just in Italian by now...). Now the link is active and you can download the presentation here, or in Academia.edu. As the slides are in Italian I summarize here the experiment we did in that occasion. We divided archaeological finds in four classes, looking which kind of documentation normally they need. Here is an image with the original picture of the archaeological finds we used as test and the final layout. 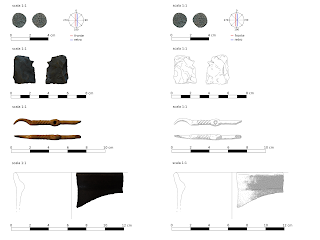 All the finds come from the excavation in the church of S. Andrea in Storo (TN - Italy) and gave us positive results (I just used to many points in stippler for the drawing of the pottery... anyway it is now easy to change this parameter with the new python interface Alessandro developed). 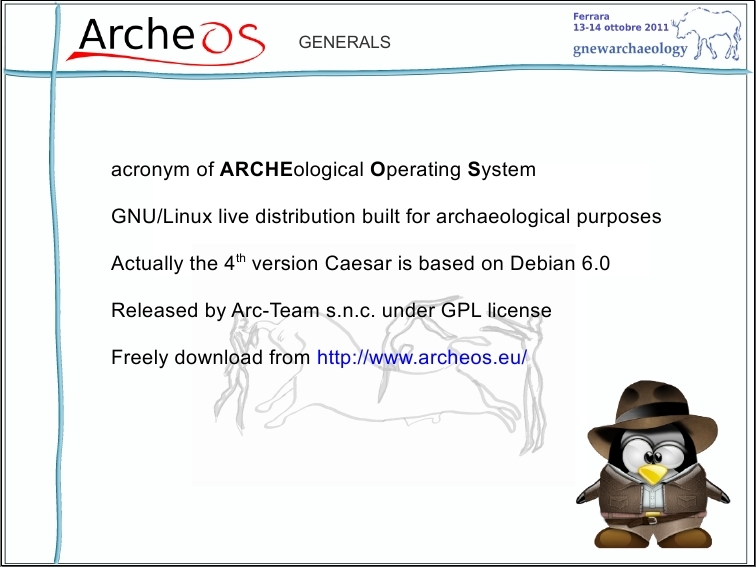 I just uploaded in Arc-Team's open library the presentation of ArcheOS 4, done during the workshop Gnewarchaeology in Ferrara (see the previous post). You can download it here. Although some images are a bit old, they provides a fast overview of ArcheOS 4 potentialities. Soon i will upload the slides of the other presentation we did ("The evolution of anthropological research from a Free and Open Source point of view"). 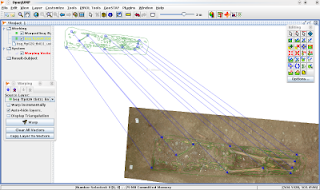 I got some emails regarding problems some users have found trying to import a dxf in GRASS, so i think it is better to do a new post about this topic. 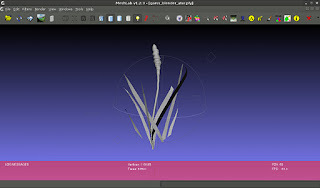 At this page you can find the image below, which shows our first attempt to import a 3D object modeled in Blender inside GRASS through the DXF file format (and i have to say that without the help of Markus Neteler it would not have been successful). It regards pretty old data from my thesis (2006) and the object is not really complex (just a simple solid of revolution). 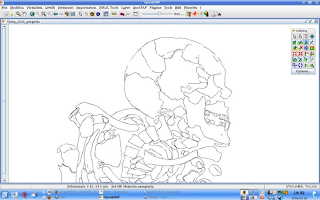 When i saw the result i could not stop laughing for some minuets, but finally i found out there were some problems with the dxf file. 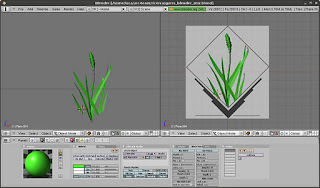 After this experience, when i want to export a dxf file from Blender and import it in GRASS i "clean it" before with MeshLab, because i discovered that MeshLab exports a dxf file more readable for GRASS parameters. 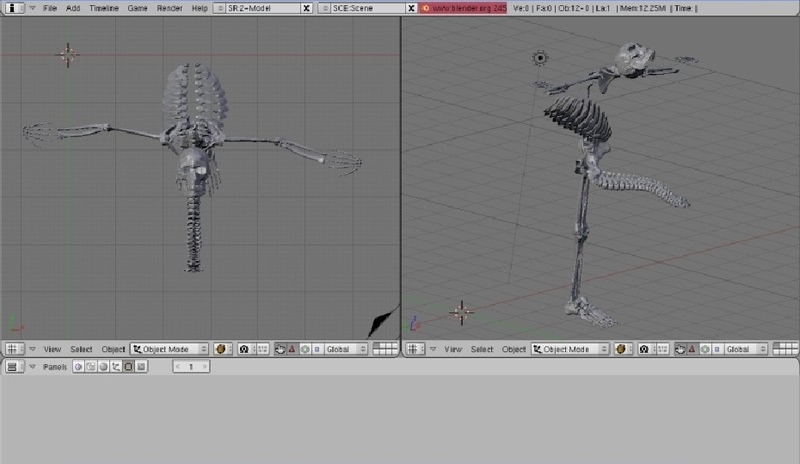 If you want to try, you can download this blender file. 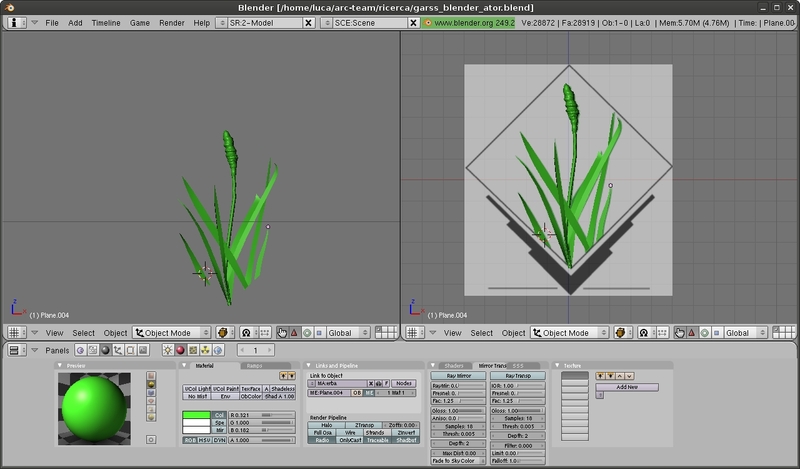 It is the GRASS logo, which i modeled in Blender, as you can see in this image. I hope this post was useful, if are still problems just reply with a post or send me an email. 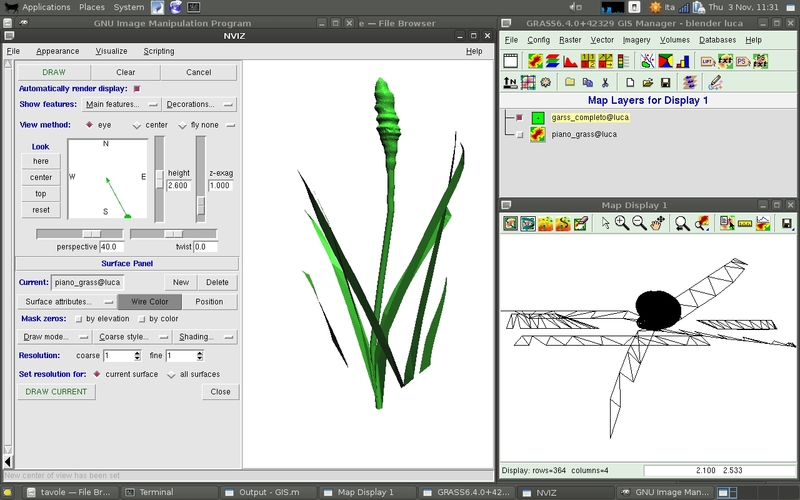 One of the last experiments we did regards the possibility to use a 3D graphic suite (Blender) to build 3D complex models, connect them to a database (PostgreSQL/Postgis) and visualize them inside a GIS (GRASS). 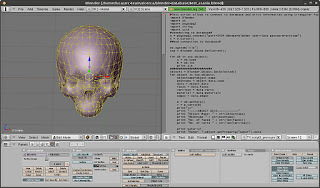 We are testing some script done by Andrea Scianna (Dirap, University of Palermo; please not: broken link) which are able to connect Blender with PostgreSQL and store geometrical and topological informations of the 3D models inside Postgis. There is no license in the script, so i guess they are released in the Public Domain (also because they come from a project called "Management and use of distributed 3D data by open source Web-GIS software"). I found the script here (please note: broken link) and i did some test with Giuseppe Naponiello. 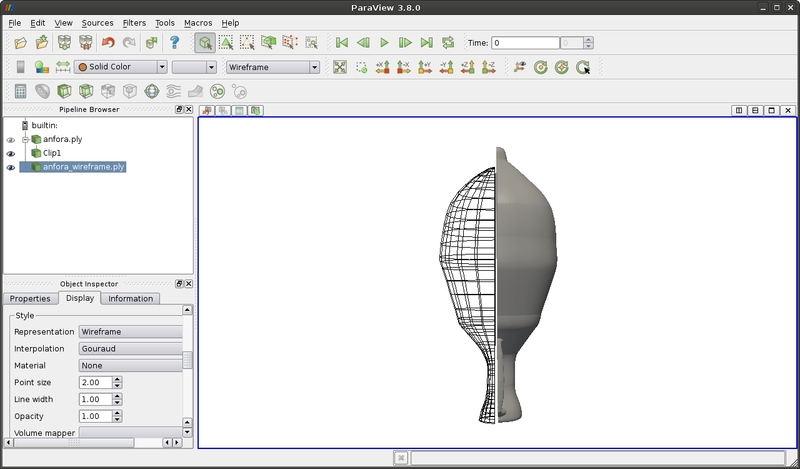 We started with "script 3" (the simplest) which "allows to connect to a database and write informations using triangular face model". I had to modify a little bit the script to update something (change the connection to psycopg1 in psycopg2 and so on...) and customize it for my db . 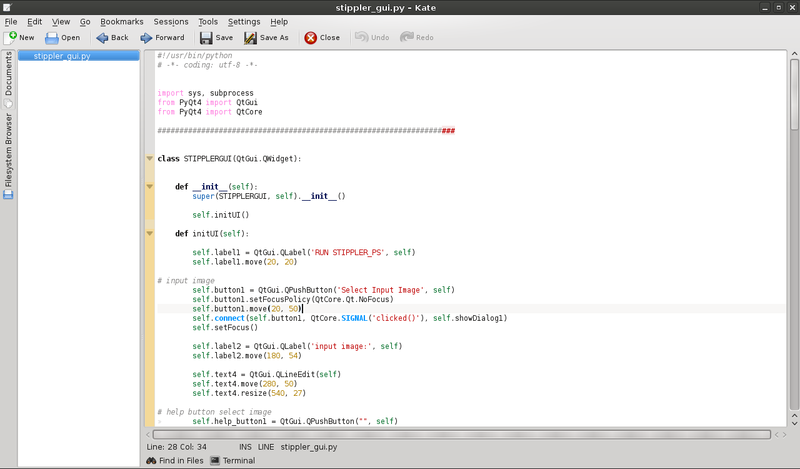 At the end the script looks like this one (please note: broken link); and it works for my operating system (ArcheOS 4). If you want to use it just remember to customize the script with the data of your db (line 8) and build the db following the schema you can find in this publication. 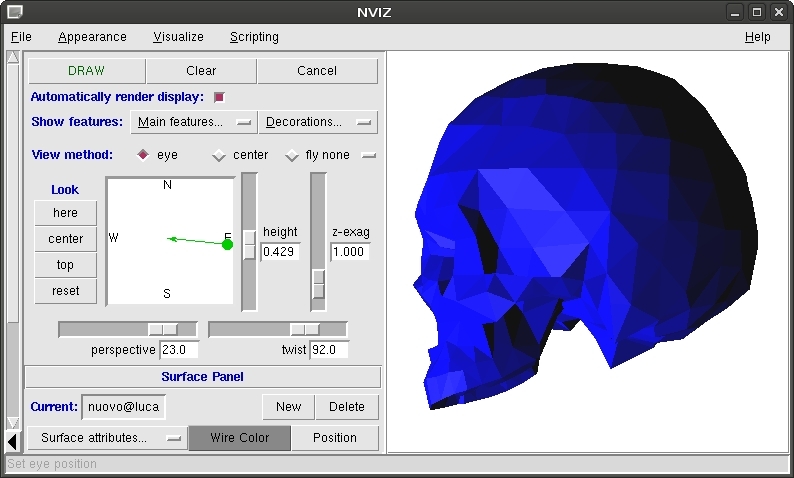 We started the test with a simple model of a skull (as you see in the picture below; please note: broken link) and the script worked perfectly, storing all the data inside PostgreSQL/Postgis. 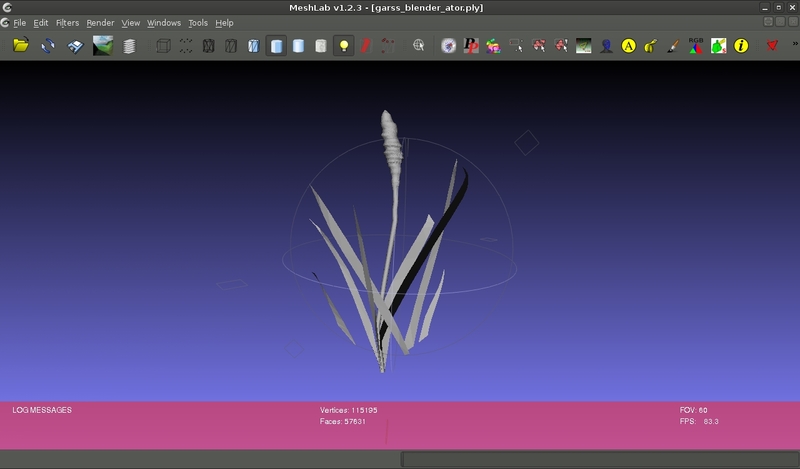 We simply exported a dxf from Blender and import it in GRASS. Our intention is to connect it with the db in a second time with an external key. We did not yet tried it, because we are still favoring the first option, which looks like more direct and promising, so we plan to spend a little bit more time playing with the python scripts written by Andrea Scianna. 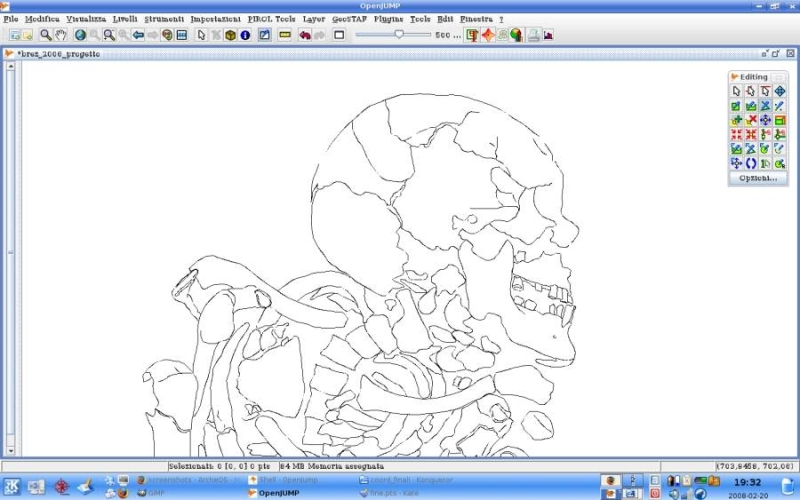 In the picture below is shown the result we get using directly a dxf file. The problem by now is that in this way we are not able to preserve a direct connection with a db. If someone wants to help us in this kind of experiment we will be very happy. Do not hesitate to contact us, any kind of clue or information is welcome! We are currently studying different solutions for this topic. 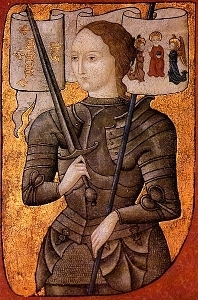 Nevertheless the subject is still interesting for researchers of other academic fields (e.g. geography). 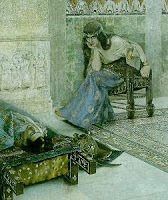 Unfortunately the links to the scripts, which were hosted in the University of Palermo server, are broken. 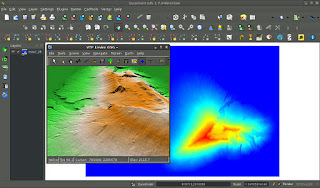 Since the author (+Andrea Scianna) released them in Public Domain (as there was no specific license and, as far as I know, the main topic of the PRIN was "Management and use of distributed 3D data by open source Web-GIS software”), I restored the archive in our server. Currently the scripts can be downloaded here. I strongly suggest to read related documentation (by Andrea Scianna) if you want to use them. I saw that the post about the 3D PDF was interesting for some people so i go on with this topic. 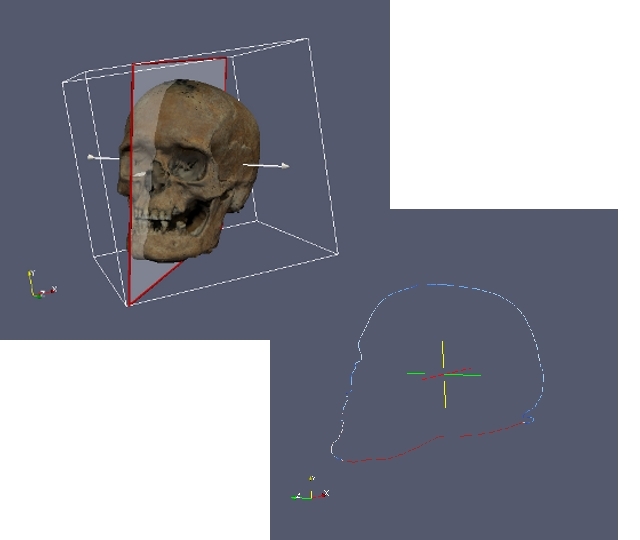 As i promised to Denis i uploaded the data: if someone wants to do some tests, here it is possible to find the u3d and the tex file. In the meantime i upload an image from one of the presentation we did in Ferrara. It regards the same data (the skull done with SfM/IBM techniques) and shows an interesting (anthropological) application of the "slice" tool of ParaView (image done by Giuseppe Naponiello). One of the main topics during the workshop in Ferrara concerned "open data", and particularly we talked about the problems in data sharing. 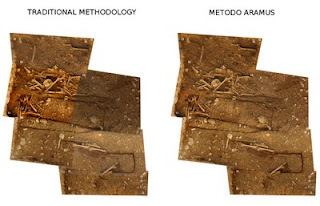 It looks like that in the last years the the situation did not change very much (at least in Italy): archaeological discussion and research inside the scientific community are still slowed by the difficulties of official institutions in data release (for many different reasons, not least of which a general climate of suspicion between archaeologists). 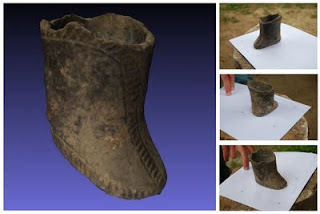 Anyway, according to our past experiences, we have to say that we were quite lucky, finding often (in our institutional partners) people who did not underestimate the problem and allowed us to share archaeological data in specific project. 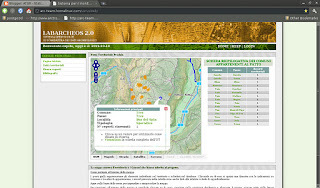 The media we normally chose for this purpose is the webgis. The image belows regards one of this projects, oriented to archaeological research and conservation in a small area (the territory of Vervò, in north-west Trentino, Italy). 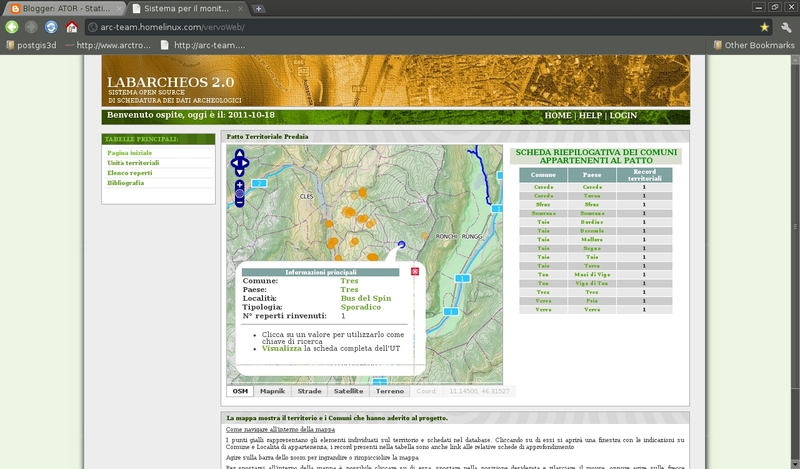 The webgis was developed in 2009 by Giuseppe Naponiello using entirely Free and Open Source Software (soon Giuseppe will write a post with more technical information about it); the data come from the research of Alessandro Bezzi and are released with a Creative Commons license. 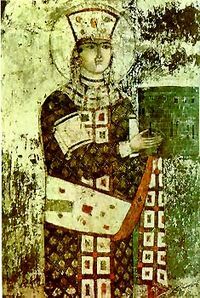 The project was possible thanks to Dr. Nicoletta Pisu of the "Soprintendenza per i Beni Librari Archivistici e ArcheoLogici di Trento". 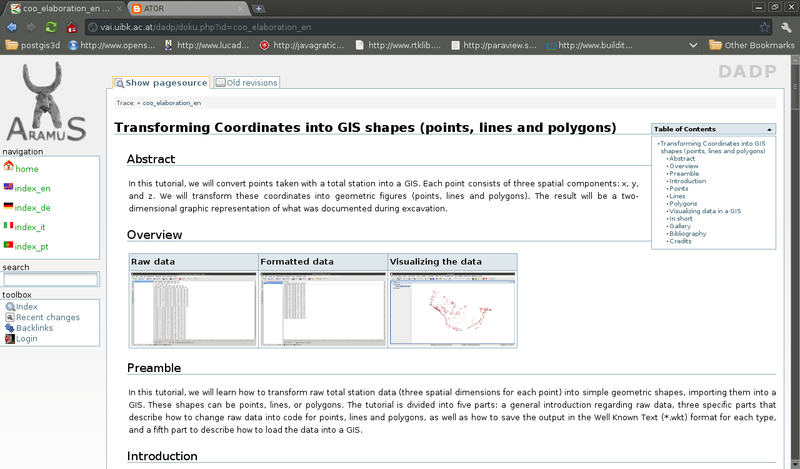 Actually you can visulize the webgis here. 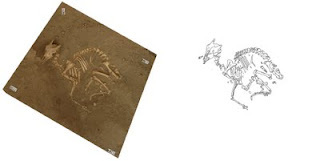 Just a fast report from the workshop "Gnewarchaeology" in Ferrara (see the previous post): the meeting was a success, both for the quality of the presentations and for the discussion. It was a good chance to share ideas and remark the importance to use FLOSS in archaeological research. Soon we will upload our slides. In the meantime we want to thank the organizers (especially Domenico Giusti) for the great job they did. 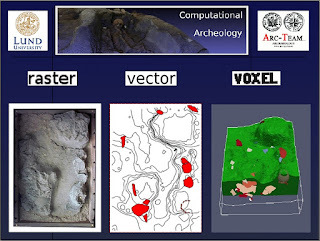 This video regards a pretty old experiment we did in 2006 to understand the possibility of volumetric graphic (voxel) in archaeology. The data came from my thesis (University of Padua, professor G. Leonardi) and were elaborated inside GRASS. 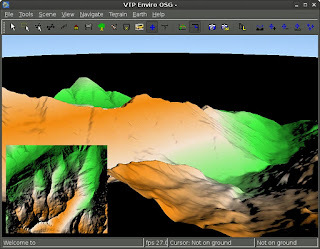 The 3d surfaces of top and bottom interfaces of one layer were imported into the GIS to produce a volumetric representation. This was possible thanks to the effort of Soeren Gebbert, who wrote a script to export the voxel from GRASS into a VTK file (which we loaded in ParaView). 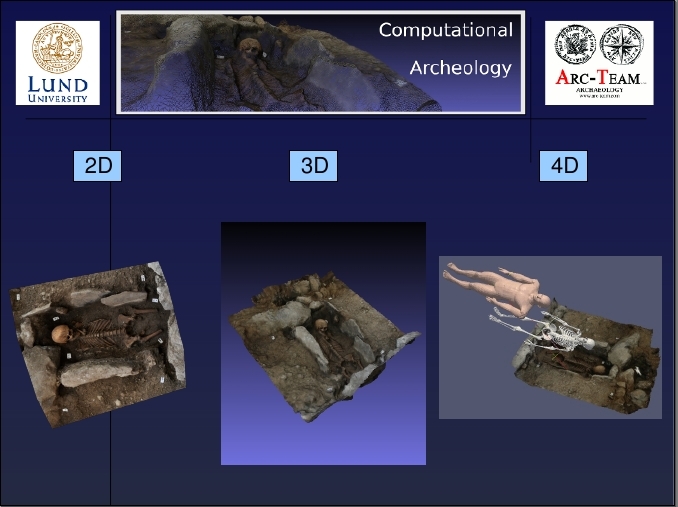 At the and of the experiment we had a complete virtual representation of the archaeological record (a destroyed burial connected with incineration practices). 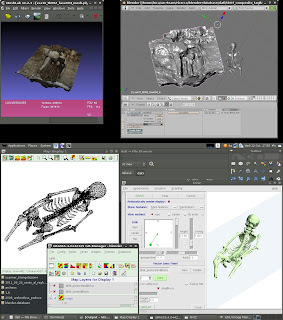 This "digital copy" was composed by two 3d raster surfaces (top and bottom), one volumetric reconstruction of the layer (voxel) and a lot of 3d vector levels of the finds (fragment of burned human bones, pottery and bronze). Below you can see a picture of the situation before a started to dig. Anyway the last step is also the most fun! Just remember that there are different flying conditions (wind, outdoor, indoor) and it is better to practice with most of them. In the video below, you can see our first indoor flight (pretty different from outdoor open spaces). After a report of some problems about installing Python Photogrammetry Toolbox on a Windows 64bit machine, i tried to do some test on it. Finally i found the error inside a python script (RunCMVS.py). 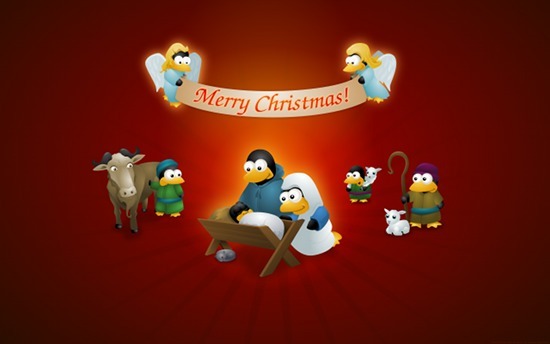 The error was reported to the developer of the software (Pierre Moulon) and he will change the original packake as soon as possible. In the meantime there is a small installation instruction to correct the error at this link. To tell the truth, i don't use very often gvSIG. Anyway it is for sure one of the software which has evolved faster since its first inclusion in ArcheOS. 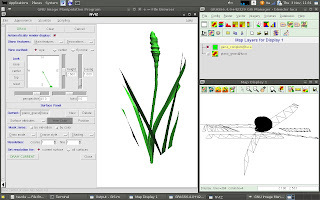 Moreover the program is pretty similar to ESRI GIS, so it is perfect to help new users of FLOSS (people for whom a direct migration form ArcGIS to GRASS could be traumatic). 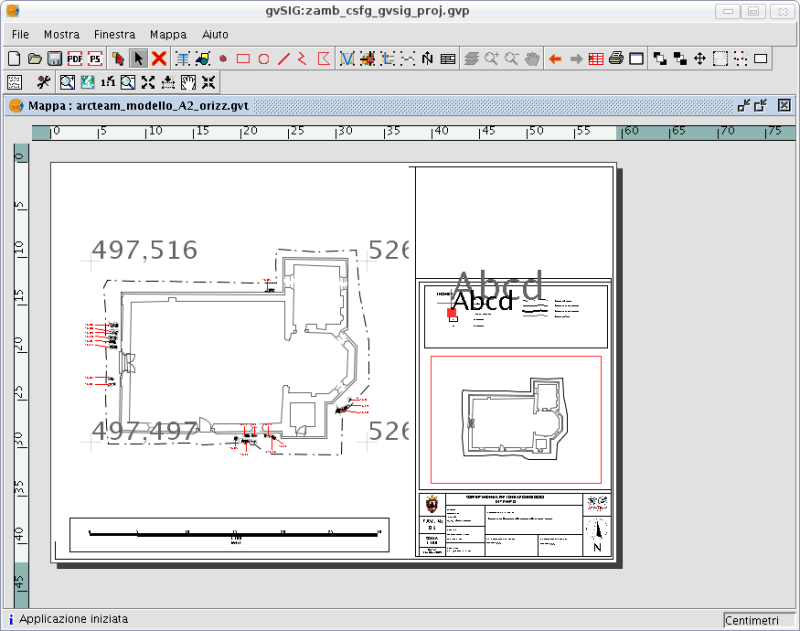 An other important aspect is that gvSIG is maybe the GIS in ArcheOS which has the easiest (and most functional) tool to get direct layouts, so if you settle for basic maps (without to many complications) this is probably your software. 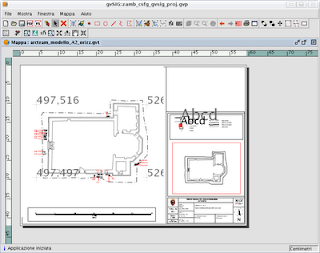 In the image below you can see an example of layout model, done with an old version of gvSIG.